Something really special and highly recommendable for the whole family, is a visit to 7 mills open-air museum. Situated in close proximity to the hotel - you can learn all about bread! Visitors can experience a comprehensive guide on the themes "from corn to bread" and "the farmer as miller"
This open air museum is particularly interesting for Families with children. 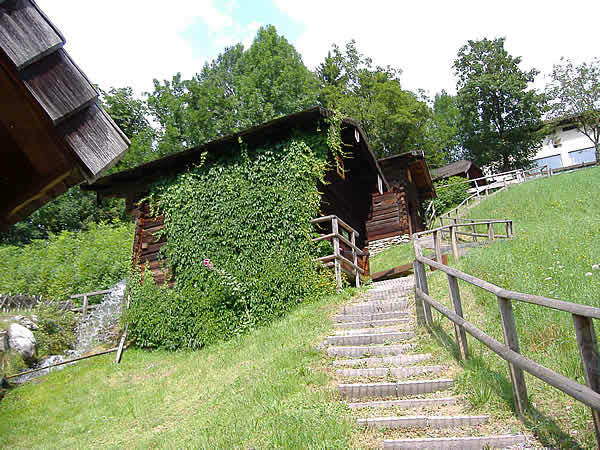 Visit the 7 mills, the water playground or the Getreidelehrpfad (grain nature trail). Take an interactive roll while experimenting, participate in the Mill's rally for children.